Bread lovers beware! 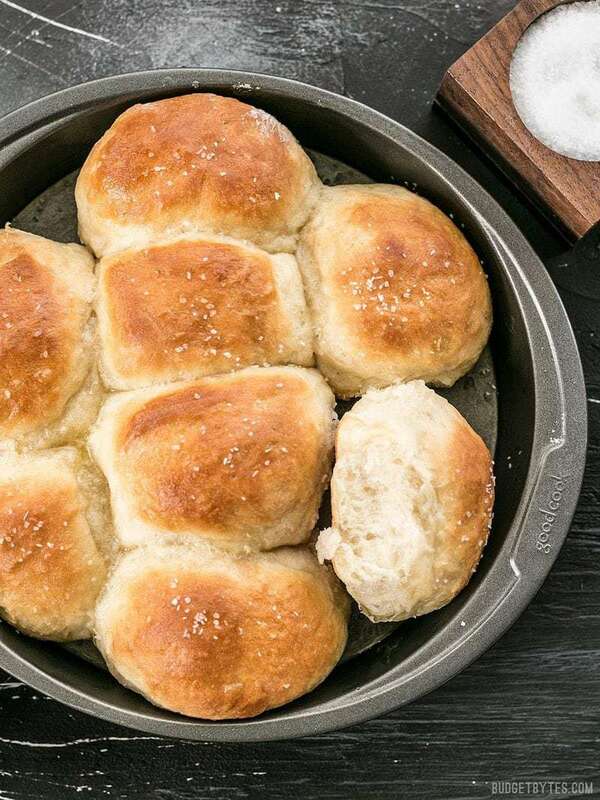 These Buttermilk Pull-Apart Rolls are dangerously delicious and slightly addictive. 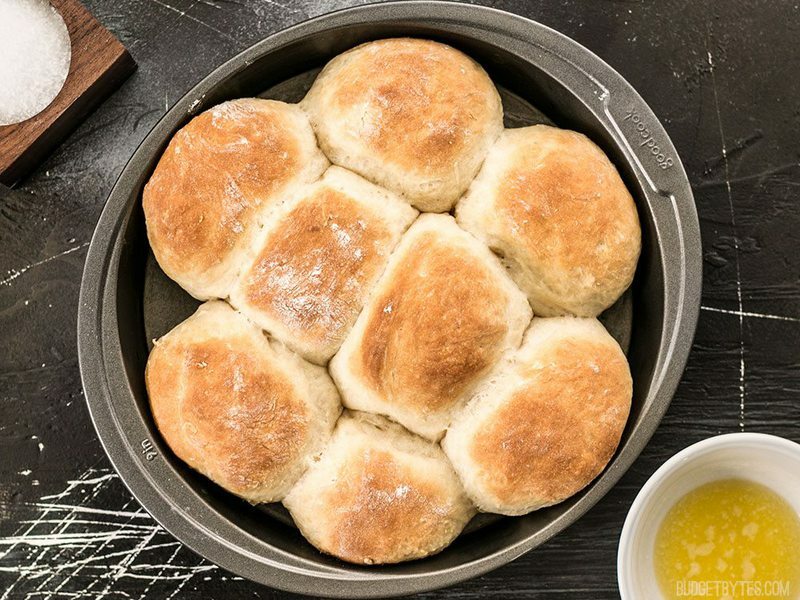 These rolls come to you courtesy of my friend Alexandra Stafford of Alexandra’s Kitchen and her new book, Bread Toast Crumbs. I met Alexandra last year at the Saveur Blog Awards and have been so impressed with her blog, recipes, and photographs ever since. I was beyond happy when she gave me permission to share one of the recipes from her book with you, but I have to admit, it took a few hours of pouring over this delicious book before I could decide which recipe to share! 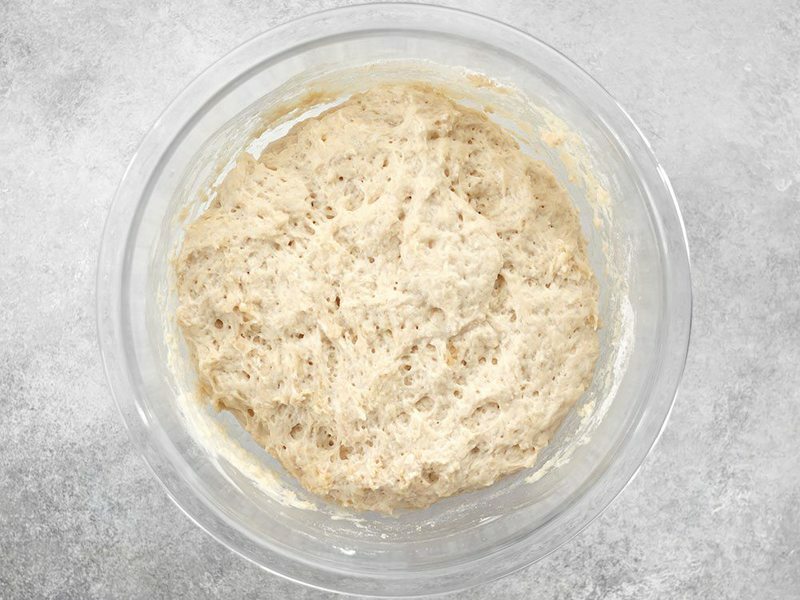 To give you a little background, the entire book Bread Toast Crumbs is designed around one simple recipe for no-knead peasant bread that Alexandra’s mother prepared with almost every meal. 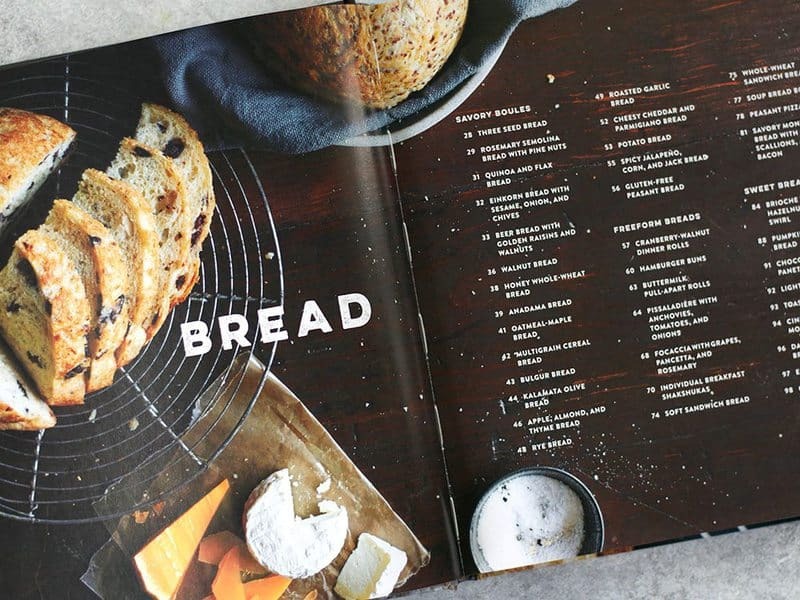 The first section of the book, Bread, provides several tasty variations on the simple peasant bread, including things like Brioche, Oatmeal-Maple Bread, Whole-Wheat Sandwich Bread, Pumpkin Harvest Bread, and even an Gluten-Free Peasant Bread. The second section, Toast, features recipes that utilized the already baked bread, like Vinaigrette Toasts with Soft-Boiled Eggs (you know I’m going to make that one! ), Cabbage Soup with Gruyère Toasts, and Grilled Chocolate and Crème Fraîche Sandwiches. The last section of the book, Crumbs, features recipe where you can put your leftover bread into use, like Panzanella (three ways), Green Gazpacho with Tomato Salsa, Baked Pasta with Mushrooms, Fontina, and Crumbs, or Brioche Bread Pudding. The message is simple: homemade bread is easy and versatile, so don’t waste a single crumb! The structure of this book is so creative and useful, and the flavors sophisticated yet simple. I seriously want to make every. single. recipe. Everything in this books looked so delicious, but I decided to try something simple and versatile in hopes that it would be useful to most of you. Dinner rolls sounded safe, but what I wasn’t prepared for was how incredible a simple dinner roll could be. 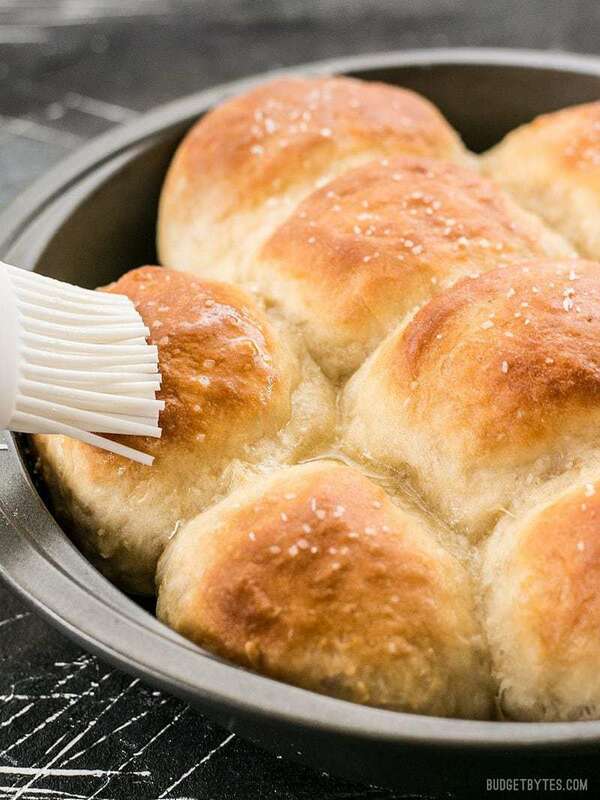 Despite using a no-knead dough, these Buttermilk Pull-Apart Rolls are extremely light and delicate. The extraordinary texture almost reminds me of a potato roll or Hawaiian roll. I’ve never seen a no-knead recipe produce something so light and airy. I was sincerely blown away. You simply have to try them. Note: The recipe in the book yields two pans of 10-12 rolls each. I’ve divided the recipe in half below because the last thing I need is two pans of rolls in our house of two. ;) I also made the mistake of cutting my dough into only 8 pieces, but I definitely suggest 10-12 as they’ll fit in the pan better and be a more reasonable size. 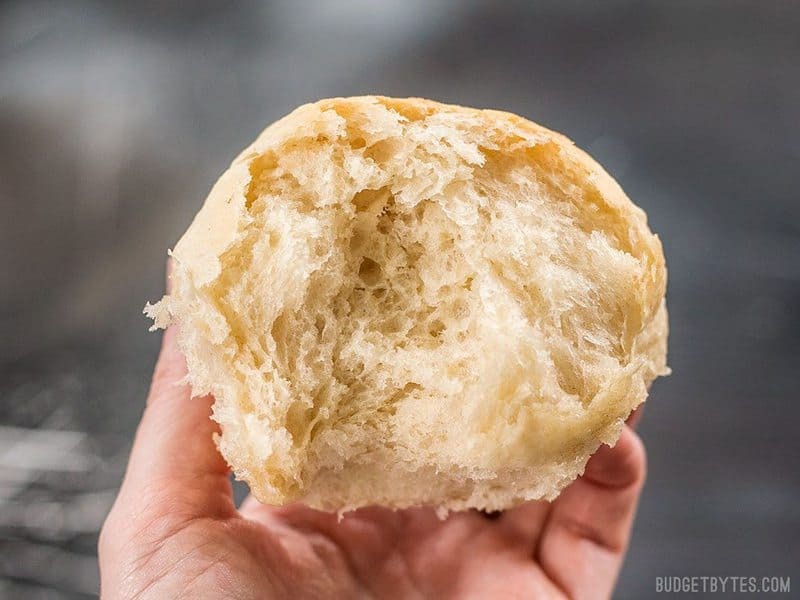 These incredible light and delicate Buttermilk Pull-Apart Rolls couldn't be easier thanks to a simple no-knead dough. 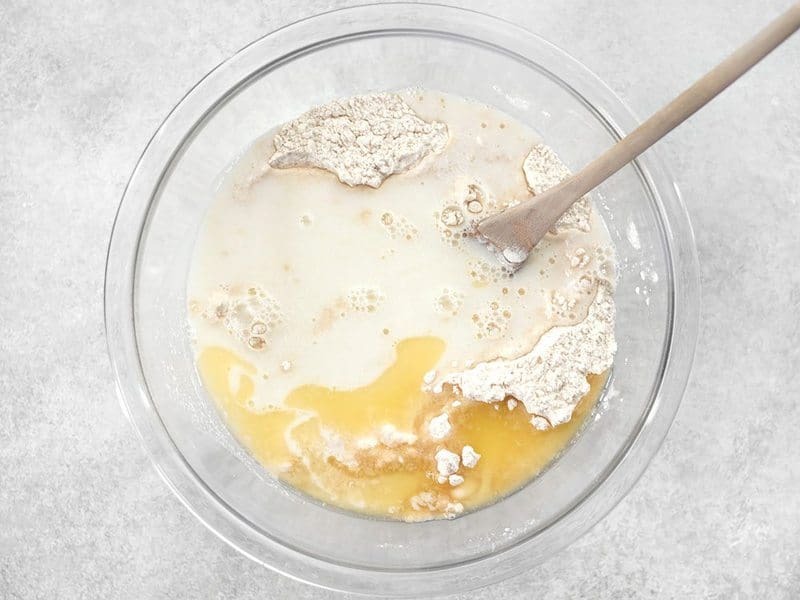 In a large bowl, whisk together the flour salt, sugar, and instant yeast. In a small bowl or liquid measuring cup, pour the boiling water over the buttermilk, stir to combine, and let cool for 10 minutes. The buttermilk may look curdled, but this is okay. Pour the buttermilk mixture and 2 Tbsp of the melted butter over the flour mixture. Stir until a sticky ball of dough forms. Cover the dough in the bowl with a damp tea towel or plastic wrap and set aside in a warm place for 1.5 to 2 hours, or until doubled in bulk. Grease an 8-inch circle or square baking dish. Using two forks, deflate the dough by releasing it from the sides of the bowl and pulling it toward the center. Rotate the bowl quarter turns as you deflate, turning the mass into a rough ball. Liberally flour a work surface. Use the two forks to lift the sticky ball of dough out of the bowl and onto the floured surface. Using a bench scraper or sharp knife, cut the dough into 10-12 pieces. Using well floured hands, shape each piece roughly into a circle. It's okay if each piece is a little misshapen. 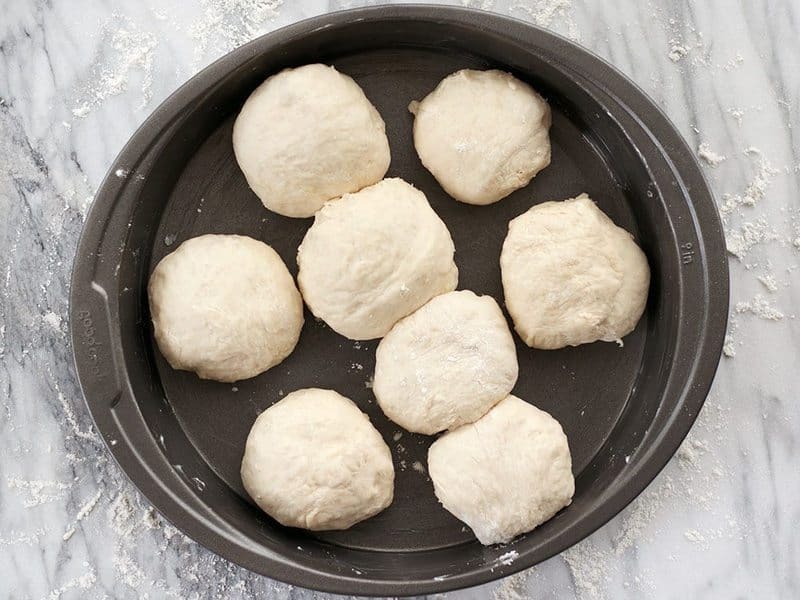 Place the dough balls into the prepared pan, spacing them evenly apart. Begin preheating the oven to 375ºF. Let the dough rise, uncovered, for 20-25 minutes, or until the dough pieces have puffed to almost fill the pan. Transfer the pan to the oven and bake for 20-25 minutes, or until golden brown. Remove them from the oven and immediately brush the surfaces with the remaining 1 Tbsp melted butter. Sprinkle a pinch of flakey salt over top. Let the rolls cool in the pan for 5 minutes, then turn it out onto cooling racks and invert onto a plate. Let the bread rest for 5 minutes before serving. *I highly suggest using real buttermilk for this recipe instead of a milk and vinegar substitute. 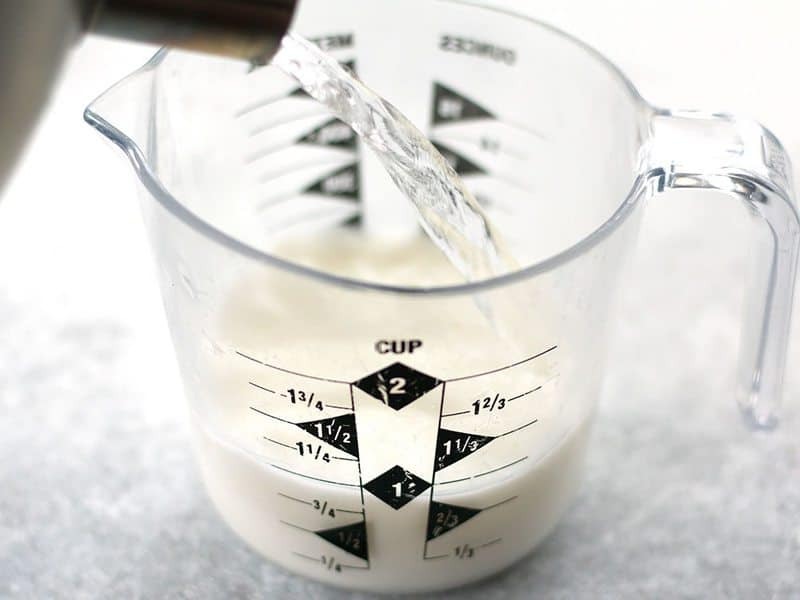 If you're concerned about having leftover buttermilk, follow these instructions for freezing your buttermilk for later use. 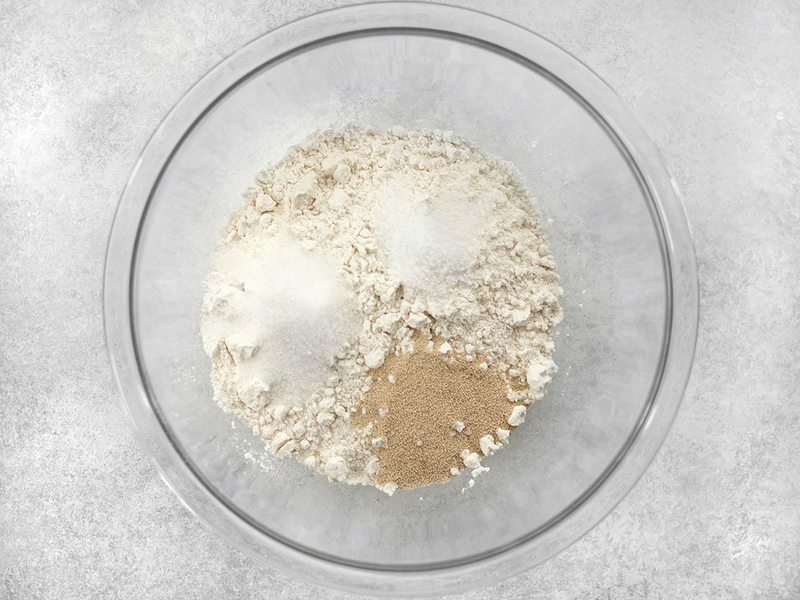 In a large bowl, stir together 2 cups all-purpose flour, 1 tsp kosher salt, 1 Tbsp sugar, and 1 1/8 tsp instant yeast. Make sure they’re very well combined. Pour the buttermilk mixture and 2 Tbsp melted butter over the flour mixture. 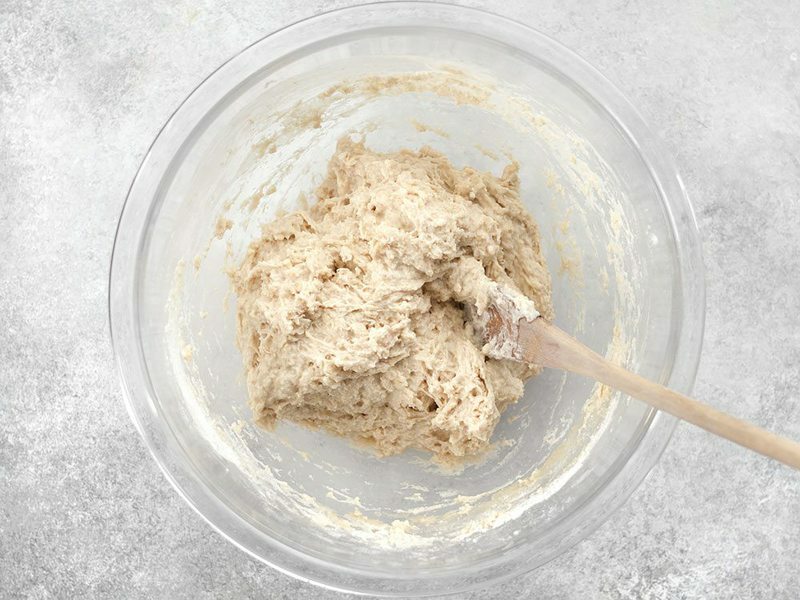 Stir them together until it forms a sticky dough and there is no dry flour left in the bowl. Cover the dough in the bowl with a damp tea towel or plastic and let it rise for 1.5 to 2 hours, or until it’s double in volume. This is what it looks like after it has risen. 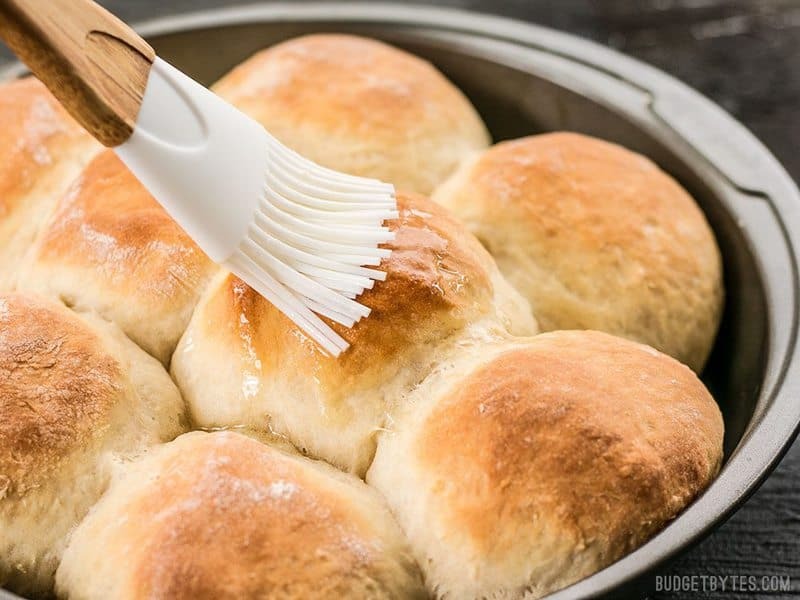 Use two forks to deflate the dough by scraping it off the side of the bowl and pulling it toward the center, giving the bowl a quarter turn, then repeating the process. It’s a bit like the motion you’d make when folding in whipped cream, but using forks and a sticky dough. There are really great photos of this process in the book, if you end up checking it out. The goal here is to just deflate the dough and create a ball out of the sticky mass. Liberally flour a work surface, then use the forks to lift the sticky dough out of the bowl and onto the surface. Use a sharp knife or a dough scraper to cut the dough into 10-12 pieces (I accidentally only made eight pieces, but they were definitely too large once baked). 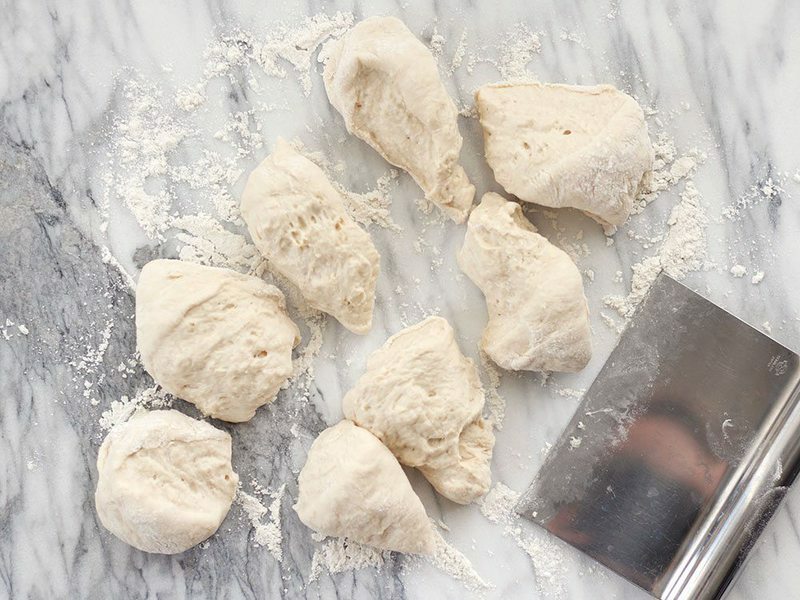 Using well floured hands, shape the dough pieces roughly into balls. 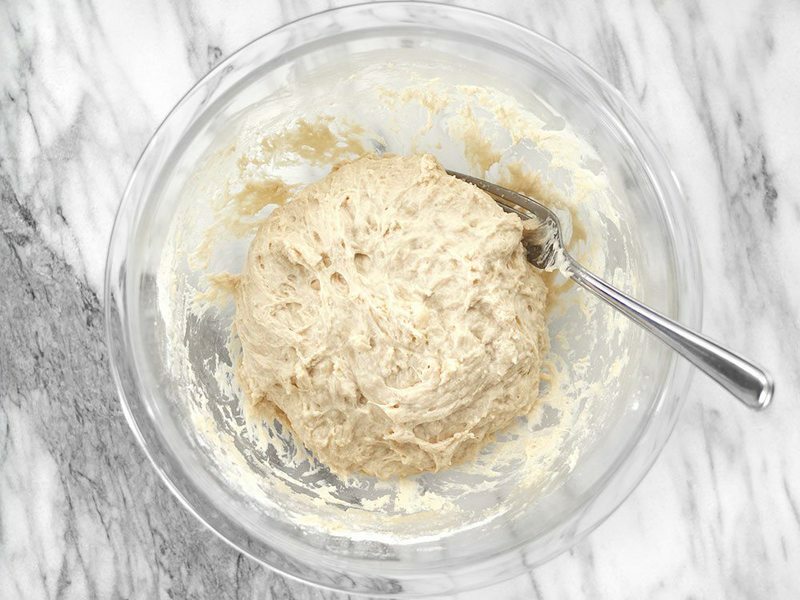 They don’t have to be perfect and they probably won’t be, because the dough is rather sticky. 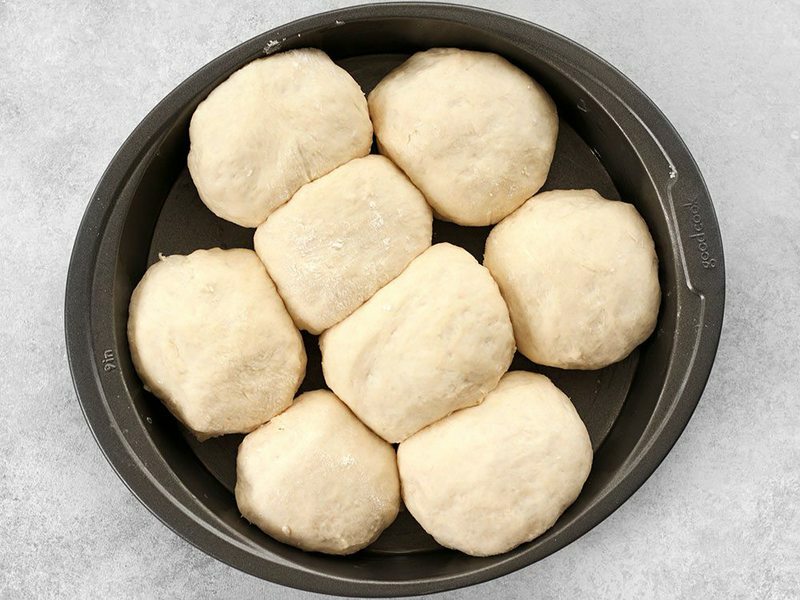 Place the dough balls in a greased baking dish, spaced equally apart. Begin preheating the oven to 375ºF. Let the rolls rise, uncovered, near the heating oven for 20-25 minutes, or until they are double the size and filling up the pan (there will be less negative space in the pan if you do 10-12 rolls instead of eight larger rolls). 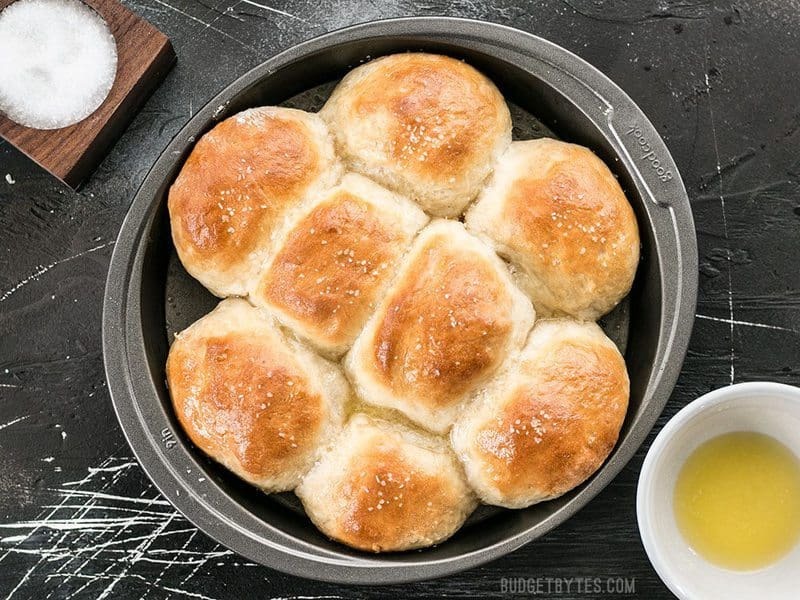 Bake the Buttermilk Pull-Apart Rolls in the preheated oven for 20-25 minutes, or until they’re golden on top. Then sprinkle a pinch of flakey salt on top. OMG SO GOOD. Over the years I have tried many different roll recipes. 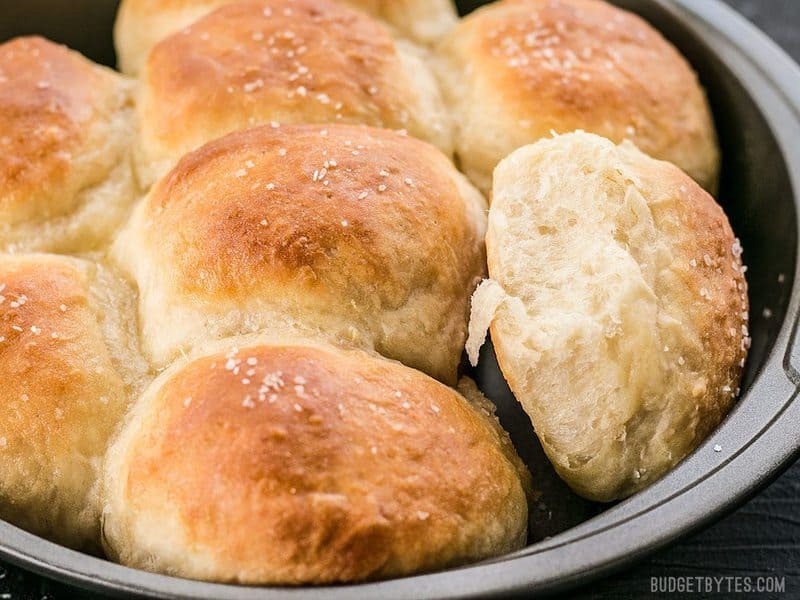 This recipe is not only the easiest, but it produces the most delicious rolls ever!